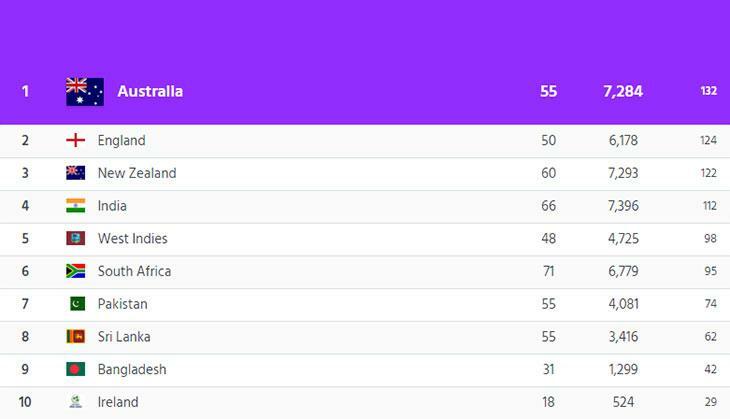 Indian Women's leg-spinner Poonam Yadav jumped to the third spot on the MRF Tyres ICC Women’s T20I Rankings for bowlers. 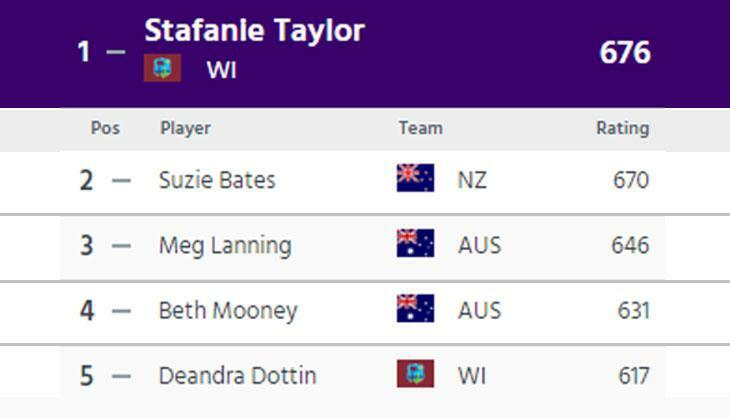 This ICC ranking was given according to the performance in the recently concluded Women's Asia T20 Cup. Poonam scalped 7 wickets at an average of 9.14 to be leading wicket-getter in the tournament and have career best figure so far while Pakistan's Anam Amin holds the fifth spot and is behind Hayley Matthews with 589 points. Indian Women's Team leg-spinner Poonam Yadav, who is now standing just behind Australian pacer Megan Schutt and New Zealand off-spinner Leigh Kasperek after the stunning performance in Women's Asia Cup. 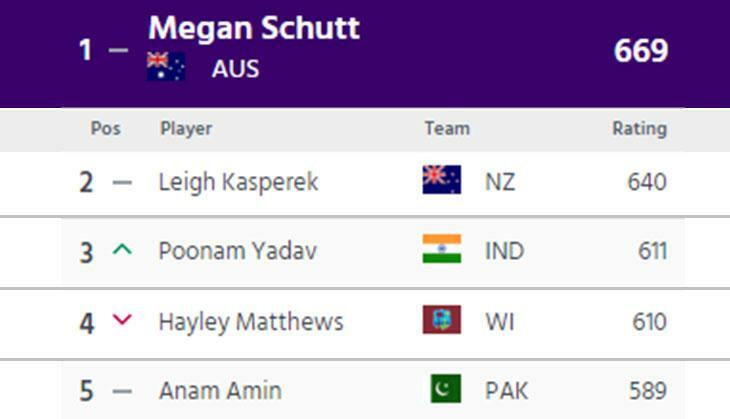 Poonam Yadav has 611 rating points while Australia’s Megan Schutt and New Zealand’s Leigh Kasperek grab the first two spot with 669 and 640 rating points respectively.